Tired of working for someone else? Why not go to work for yourself? ...at Q-Team, ..now an Employee Owned Company. We Offer Career Positions with Good Pay, Employee Ownership, Retirement Plan, Bonuses, Health Insurance Reimbursement Plan (HRA), Boot/Glove/Rain Gear Allowance, Paid Holidays/Vacation, a Safe and Enjoyable Work Environment, Free Firewood and the Stability of Working for a 30+ Year Company. Note: None of the fields on this form are mandatory. Please provide only the information you feel comfortable providing. Where/How did you learn about this employment opportunity? Note: We may pull a copy of your driving record from the D.O.T. At Q-Team, smoking (and chewing tobacco) is not permitted in our buildings, in our vehicles and on our customer's property. Are you willing to abide by that rule? If yes, is it OK for us to call your current employer for a reference? 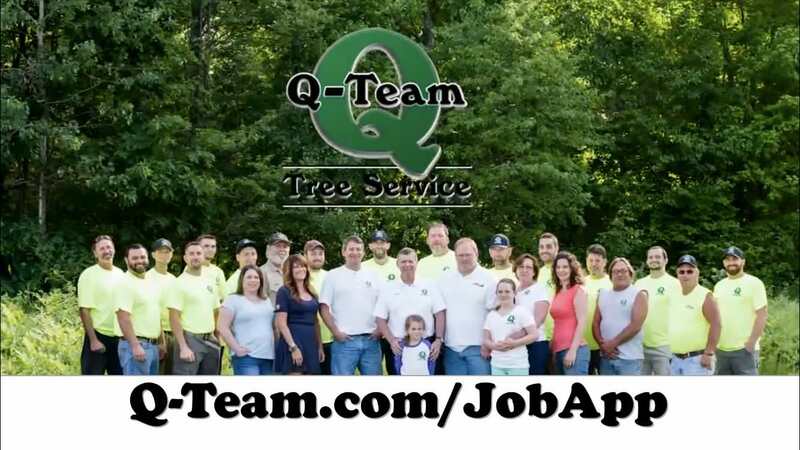 Are you a Maine Licensed Arborist? Will you work Saturdays if/when needed? Will you start early and work late if/when needed? Are you willing to plow snow if/when needed? Are you willing to work on the snow blowing/shoveling crew if/when needed? Are you physically able to perform the essential functions of the position you are applying for, with or without reasonable accommodations? Note: By submitting this form, you consent to a pre-employment physical. What pay rate are you hoping for? Would you ever use or possess alcohol or illegal drugs on the job? Would you be willing to submit to a drug test (to detect hard drugs only) as a condition of employment, and randomly or upon suspicion, during your employment at Q-Team? If hired, would you be at work on-time every day? If hired, do you agree to give a minimum 2 weeks notice before leaving? Is a potential winter lay-off a problem for you? Note: If you are laid off, you may be eligible for unemployment benefits during that time. By submitting this form, you state that the info you have given is true and that, if hired, you consent and agree to the terms and conditions stated herein.